Live Musicians is a professional, full service hourly rehearsal and recording facility. We also have a Venue with a stage, stage lights, and beautiful dance floor with mirrors for dance classes. Any musician/dancer/artist in the north bay that needs any kind of service for the arts we have it all here! We are located in Santa Rosa directly next door to the RBI batting cages on Piner Rd. Our goal is to provide a clean, comfortable, and well-equipped environment where performers from novice to seasoned professional can develop and enhance their skills. Our range of facilities provides you with the choice of four sound-isolated, air conditioned, and fully-equipped rehearsal rooms complete with a drum kit, bass amp, guitar amp, and PA with a microphone; Just bring your sticks, cables, guitars, and joy for music and we’ll take care of the rest! It’s the perfect place to practice on your own or with your band, and get your demo or album recorded! 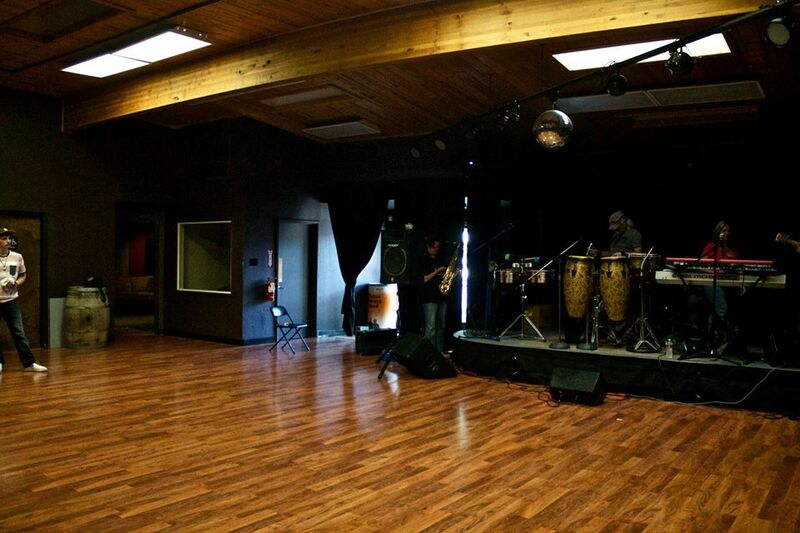 The Performance Center has a Huge Dance floor, Gigantic Mirrors, a full sound system, a stage, it’s a perfect place to hold events, dance classes, film music videos, and record live shows and in the studio. the recording studio has a grand piano and isolation booth so any band can play all at onve to multi track. At Live Musicians, we provide a quality recording experience in a friendly environment. Our recording studio takes a fresh, no-nonsense approach to every project and boasts one of the lowest hourly rates in Sonoma County – $45-/hour with engineer (and absolutely NO hidden fees). Whether you’re recording a demo or a full-length album, no project is too large or too small. From professional film or broadcasting clients to a garage bandâ€™s first cd, from bigger ensembles to an acoustic soloist, Live Musicians will help you get the best results for your time and budget. Our professionally educated and certified engineers concentrate on every project as if it were our own, without the “assembly line” attitude found in many larger studios. Stop by for a tour today and see the difference.